Rumors are flying that Google is on the edge of releasing a major update to the Web version of Gmail, reports the Washington Post. In a statement, Google did not confirm specific changes but did acknowledge that it's working on an update to its email service. “We’re working on some major updates to Gmail (they’re still in draft phase). We need a bit more time to compose ourselves, so can’t share anything yet — archive this for now, and we’ll let you know when it’s time to hit send,” the company said in a statement. According to WaPo, additions may include a “snooze” feature and automatically generated “smart reply” suggestions already available in Google's mobile email apps, according to a report from Android Authority. The new Gmail will also reportedly look more like the Gmail mobile app. A Friday report from the Verge indicated there may also be a "confidential mode," similar to what's available in Outlook, that lets you set specific emails to expire after a period of time, and prevents them from being downloaded, printed or forwarded. People may also be able to set passcodes for individual emails to restrict who can read them; the codes will be sent by text message. I have used the smart reply on my cell phone--pretty decent. A snooze feature would be great for things I need to deal with sometime in the future. 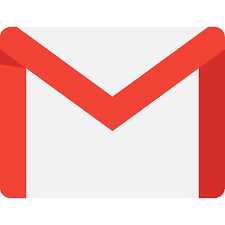 Google did not say when its update to Gmail may go live. According to WaPo, the company is set to host its annual developers conference May 8; Google often unveils new software and services at that conference. I wanted to get away from Google, but they're just too darn good. I made a switch to a different (more private) service. It just didn't compare. I'm glad I kept my Gmail. The market wins! Convenience over principle for this anarchist!